Maintain and improve your strength. Get your copy of Easy Exercises for Strength & Power today! Stay Strong as You Age! Do you think strength training is only for young athletes lifting heavy barbells in a crowded gym? Not interested in buying expensive weight lifting equipment for your home? Most people begin to lose muscle mass, strength, and function in their mid-30s. Don’t worry, it’s never too late to start and benefit from a strength training program. Introducing, Easy Exercises for Strength & Power! This special report from the health experts at UCLA’s David Geffen School of Medicine gives you everything you need to create and control your very own strength training program. The report features up-to-date research and exercises recommended by physicians, researchers, and physical therapists at UCLA and other major teaching institutions around the world. Planks to strengthen your core. You can create your own fitness plan, or choose one of our 11 already designed for you. They include those for entry-level, intermediate, and advanced exercisers. The report also includes checklists along with daily and weekly workout logs so you can track your progress. Get fit and be strong enough to enjoy daily activities with your friends and family. 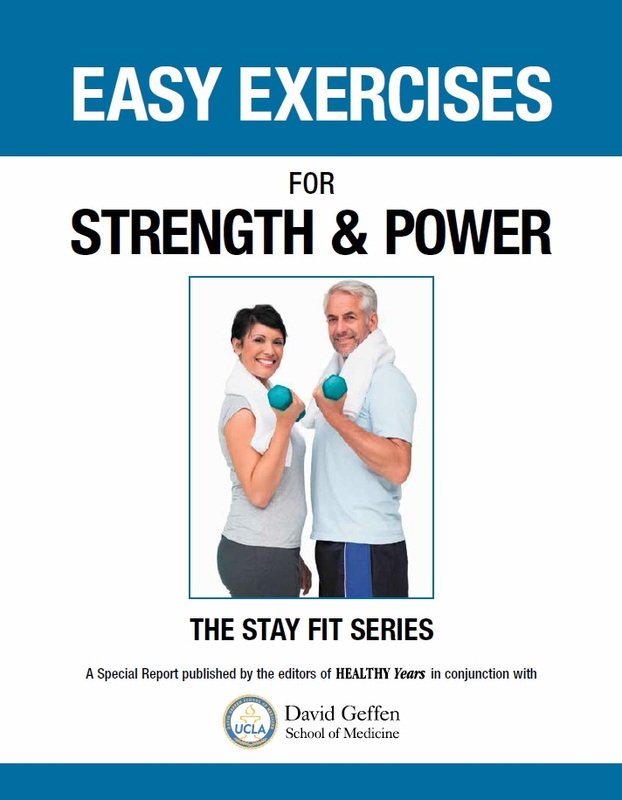 Order your copy of Easy Exercises for Strength & Power today!